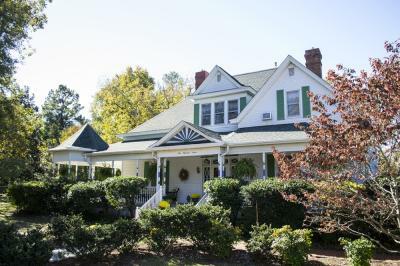 Staying in a local bed and breakfast feels like home away from home here in Johnston County. Our Bed & Breakfast Inns are located in our charming downtowns of Benson, Clayton and Four Oaks. While in town we invite you to discover the people and places that we call home...we think you will enjoy them as much as we do. In Clayton, stroll the downtown area along the Public Art Trail, enjoy dinner in one of several restaurants like Clayton Steakhouse or Mannings, "lucky" chicken or casual fare like Jone&apos;s Cafe serving red hot dogs...and several sweet options are available for dessert. Benson is home to the largest and the oldest festival in the county -- Mule Days and the Benson Singing Convention, and the Preston Woodall House is just two streets over from the town&apos;s very charming Main Street. Take a walk along the charming shopping district on Main Street and search for bargains at several antiques and collectibles stores.